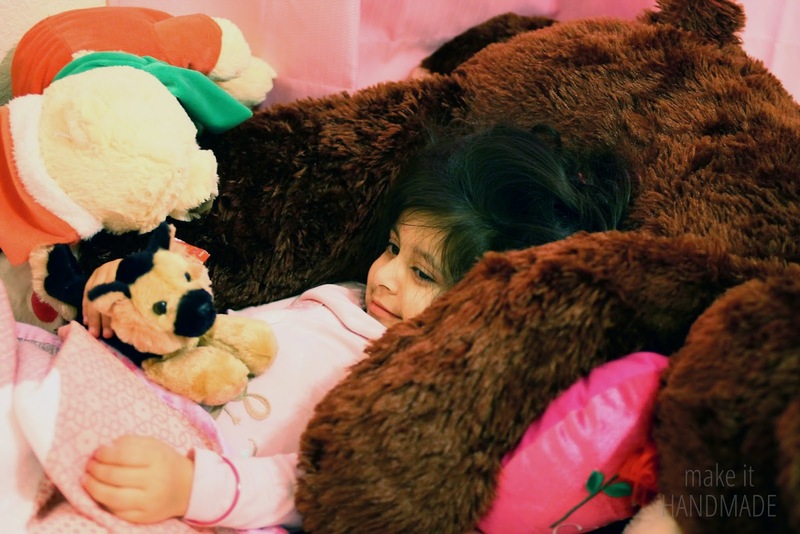 This week in the Strawbazies house... Amaani's been spending at least one hour of her day with her bears. And Ishu's still enjoying his new pillow. This week we worked on potato print gift wrap. 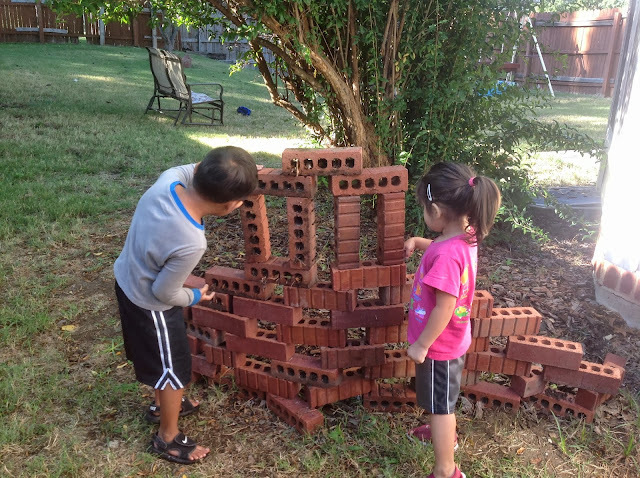 Even though it makes a mess, it's fun to see the kids enjoy working on something together without bickering. 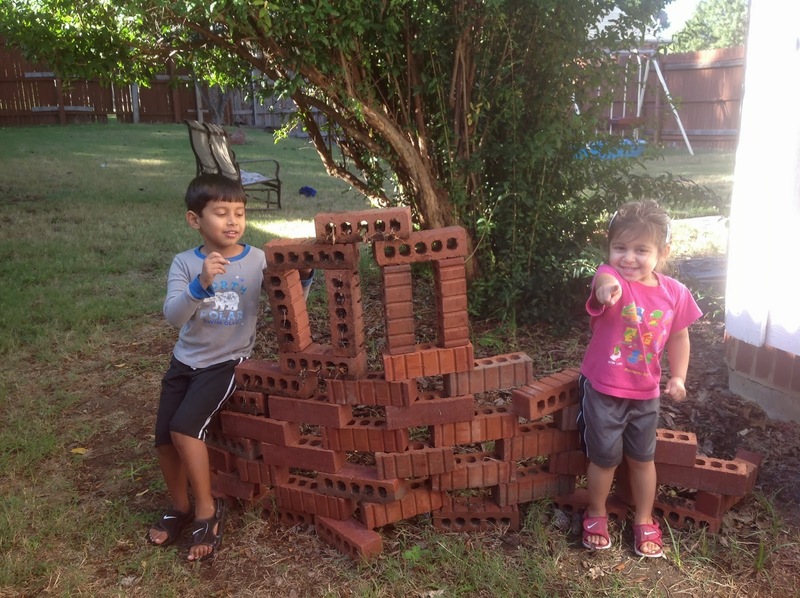 The weather has finally gotten cooler and now kids can spend most of their time outdoors. It's wonderful that they are old enough to play outside unsupervised. Of course, that means Kartik and I were completely shocked when we came out to find this-- Both of them have been working on this for last few days. 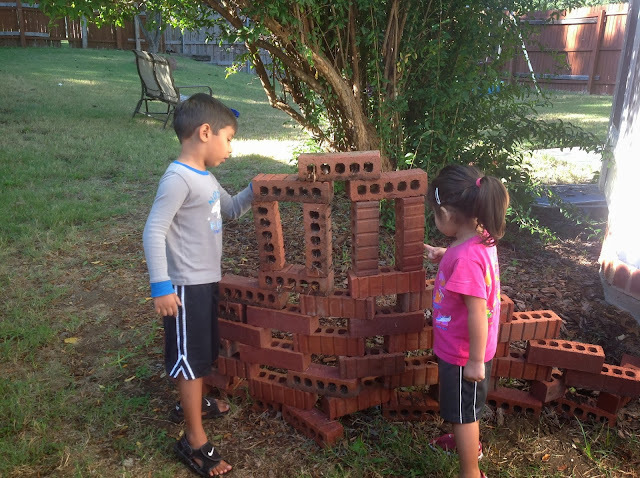 Nowadays they spend hours playing their pretend games with each other. It is wonderful to see them work together as a team and see them grow up loving each other. It's Rakhi time!!!! This is the kids 3rd Rakhi (check out year 1 and year 2). This year the kids were pretty excited. We started telling them about it a week in advance. 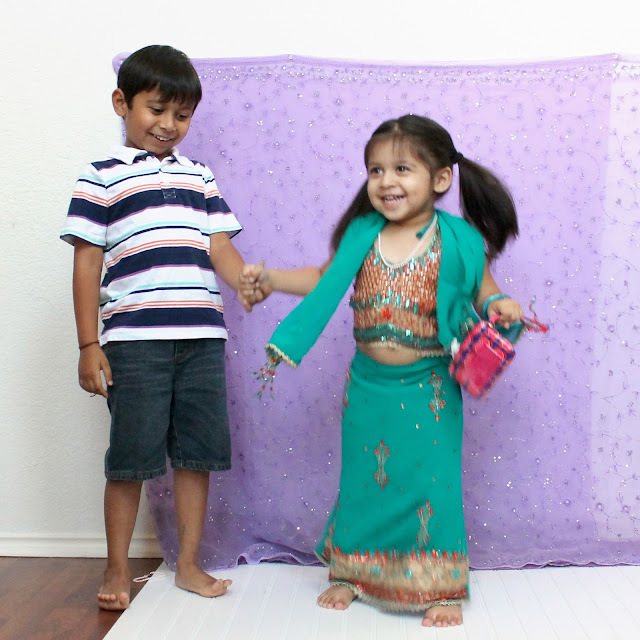 They spent hours pretending to do Rakhi by themselves in their own ways all week long. How did she grow up so fast? 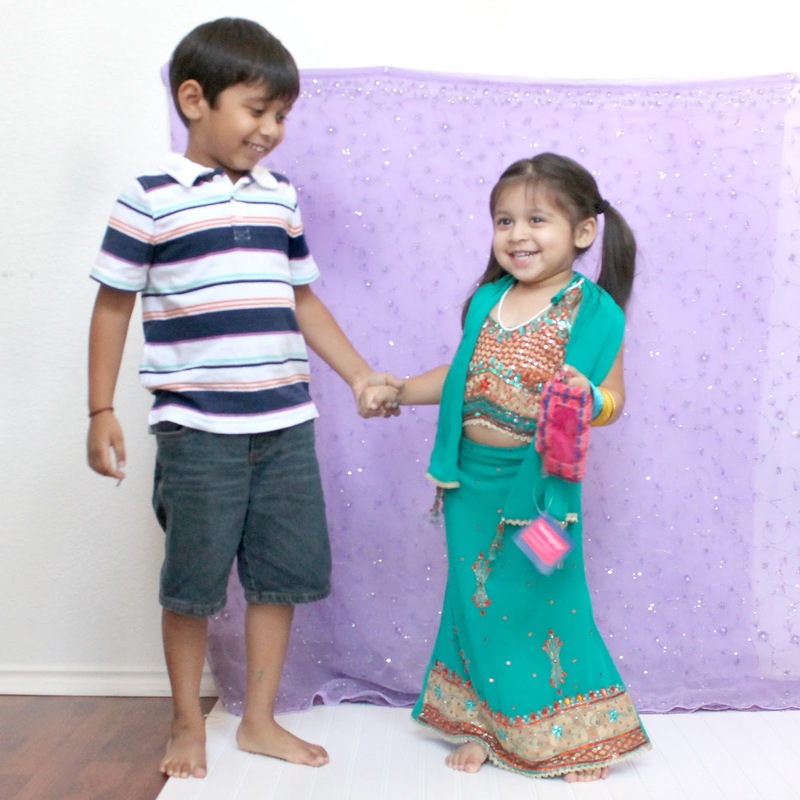 Ishaan on the other hand does not like anything about getting dressed up. We tried to get him into a comfortable kurta but he wanted it out, deja vu from the first year. We got some pretty good pictures of them. 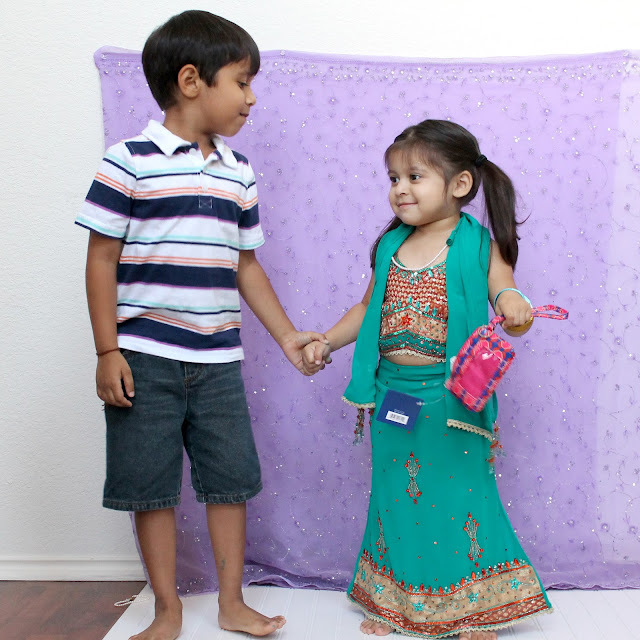 This year we wanted them to try and do rakhi on their own for most part. They both did really well. And of course tying the Rakhi... homemade of course! Exchanging sweets-- everyone's favorite part. For some reason Ishaan did not want to wear his rakhi this year even though for the last 2 years he was devastated when we had to take it off. 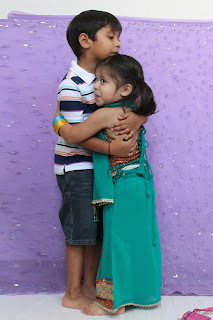 Rakhi or not these two have grown into such wonderful kids. They spend hours together playing with each other on their own. And now they have even figured out how to get in trouble together. When they are in trouble Ishaan always has his tactful thoughts ready to soften the impact especially if it Amaani is in trouble. You can see the sibling love between them that can not be described by words. Since the whole ceremony only lasts about 15 minutes, the kids had their own little after party.